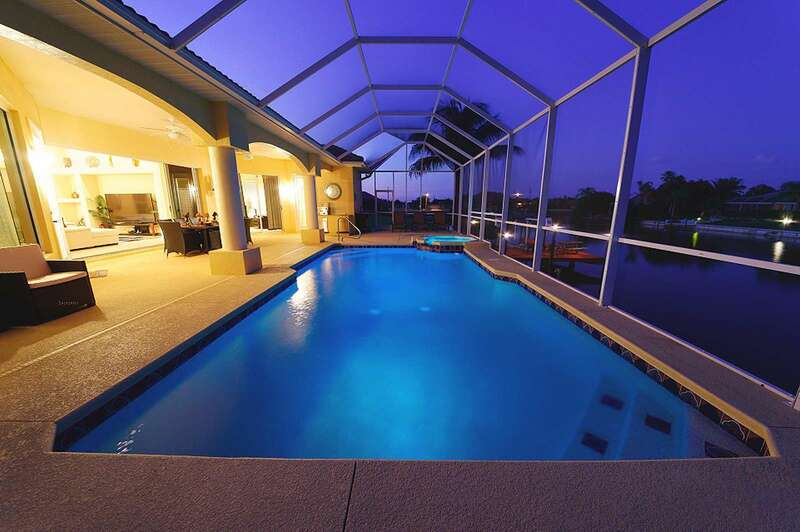 No shoes – no shirt – no problem at this beautiful Wischis Florida vacation home, just put down your suitcase and vacation. 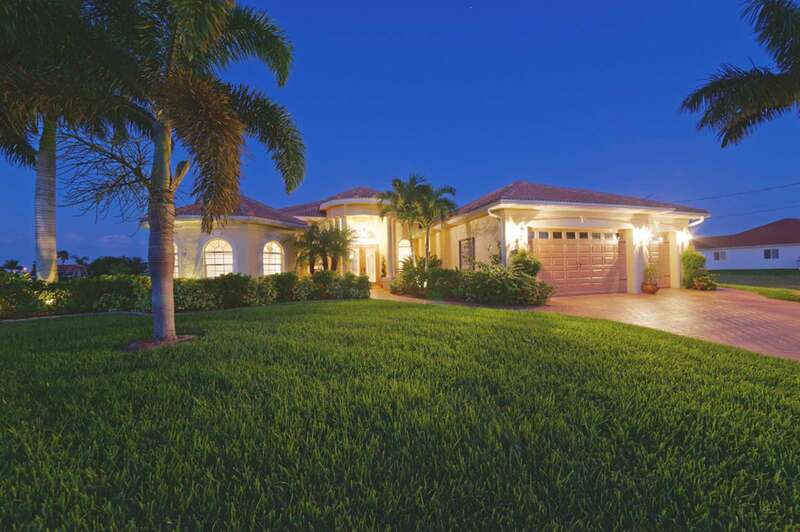 The Coconut Key is located on a corner lot with intersecting canals. 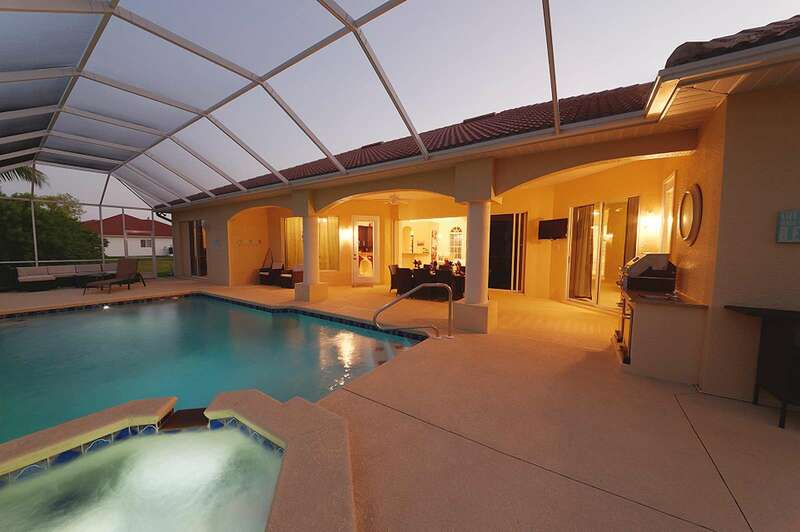 The home has a large pool deck, lanai, heated pool and spa and invites you to spend many, happy, fun hours outside. 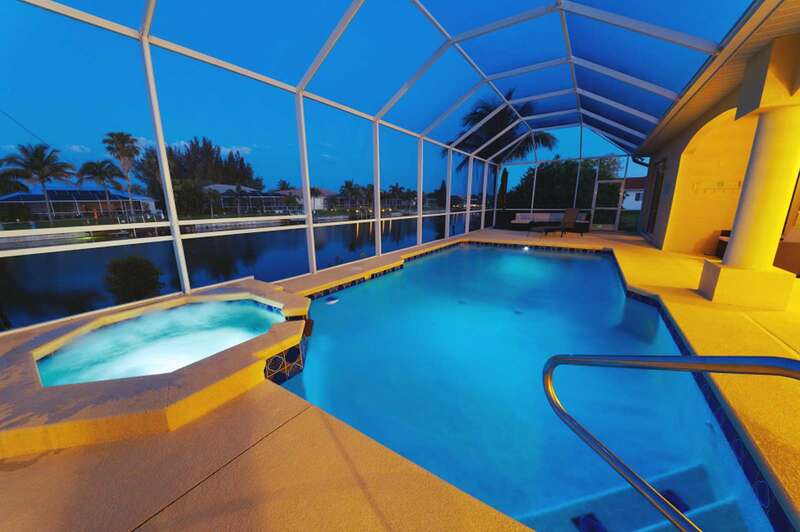 As boating is a big part of the Florida Lifestyle this house is perfect for boaters as well, since it has a grand boat dock, boat lift and captains walk. 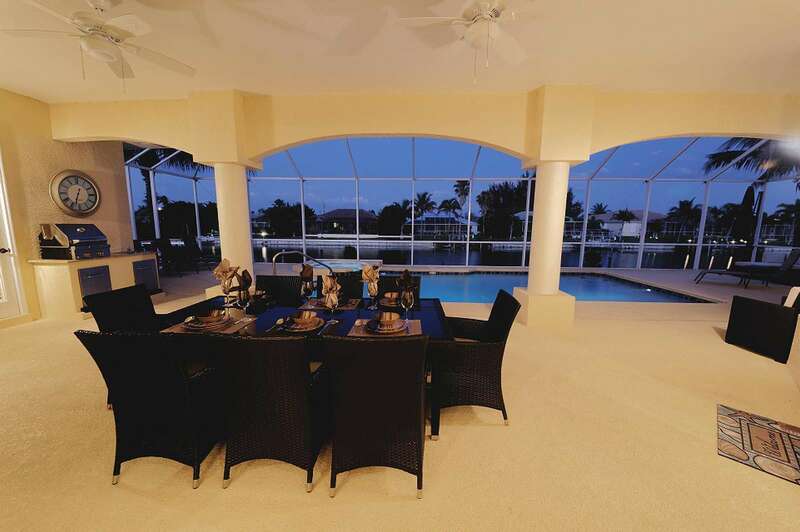 Inside the home has everything and more that you might need for a vacation. Modern furnishings, TV’s in all bedrooms as well as very large screen TV in the living room, and a kitchen that doesn’t only have all the stainless steel appliances but also a great water view. It’s quiet location lets you take evening walks or morning jogs and you will meet and greet many local neighbors.